Get An Incredible 50% OFF Dedicated Servers For The First 3 Months! From now until 31/03/19 you can take advantage of our incredible Dedicated Server SALE! Get an enormous 50% OFF our Single CPU packages for 3 months when you use code ‘50%‘ at checkout! Save 50% on any Single CPU Dedicated Server package for the first 3 months! Netcetera handles the daily operations of servers including all maintenance and updates. Our experienced system administrators handle tasks such as applying software patches and the constant security monitoring of the server. Remotely manage your servers directly from your Client Area, through our web based control panel. You will not simply just be able to boot, reboot and shutdown your servers from your Client Area but also view server usage graphs as well as monitor the live status of your machines. Each package includes a choice of either Windows or Linux operating systems. Speak to our friendly team today to find out what our services can do for you, or for any other queries, please call 03330 439780 or Chat Live with one of the team. The post Get An Incredible 50% OFF Dedicated Servers For The First 3 Months! appeared first on Netcetera Blog. How Secure Is Your Windows Server? Have you ever thought about how secure your Windows Server actually is? Would you know if your RDP Port Connection is open? If you’re not sure, it certainly wouldn’t take long for somebody else to find out the answer, which could then leave your server being compromised, and given the number of cyber attacks that take place on a daily basis are you prepared to suffer the consequences of having an un-secure server. You wouldn’t leave the door open to your car with the keys left in, so why leave the door open to your server and all of your valuable data? If you want to make sure your server is secure then take a look at the options below. Implementing any of these will will help reduce the risk of a cyber attack through an open port on your server. The quick and easy short-term fix would be to change your RDP Port to something less obvious. Most abuse against RDP Connections tends to assume either the default port or some of the more obvious combinations. Changing to something more randomised could increase your security and leave your server less open to attacks via RDP. You can change this yourself, or Netcetera can take this on for you subject to one-off Admin Time charge. RDPGuard is a host-based intrusion prevention system (HIPS) that protects your Windows Server from brute-force attacks on various protocols and services (RDP, FTP, SMTP, MySQL, MS-SQL, IIS Web Login, ASP.NET Web Forms, MS Exchange, RD Web Access, etc). It monitors the logs on your server and detects failed logon attempts. If the number of failed logon attempts from a single IP address reaches a set limit, the attacker’s IP address will be blocked for a specified period of time. This can be a more comprehensive coverage and isn’t too hard to enforce. The best and most secure option for your server would be to disable RDP Access from the public network. Protect your RDP behind our VPN and access will be strictly restricted to anyone connected to that network, no hassle and much better security for you and your server(s)! This service is usually £10.00 per month per server, but you can now SAVE 50%. This server protection is the most comprehensive available and if you do have valuable information then this is the protection for you. Click on the below button now secure your server and save money! If you have never thought about security being an issue, we hope the above information has helped you think again. Netcetera has been providing market leading security solutions for over 21 years, from effective antivirus solutions and website protection right the way up to enterprise class disaster recovery products. If you would like to find out about any of our hosting or security solutions simply get in touch with the team today using any of the below methods. The post How Secure Is Your Windows Server? appeared first on Netcetera Blog. Are you ready to enjoy the benefits of having your own dedicated server? Perhaps you’ve outgrown an old outdated server and you’re ready to upgrade. Either way we have a great offer designed to give you a server that will meet your demands, provide you with superb reliability, security, comes with awesome support and aimed at saving you time and money. We know that when it comes to replacing your own office computers it can be a costly affair, with many things to consider. Take all the worry, hassle and expense out of the equation with one simple monthly payment and no lengthy contract save time, money and improve your IT efficiency with a new dedicated server from Netcetera from only £65.00/pm. Sound good? We’ll help make the move to one of our high performing E3SS-QC Server quick, easy and hassle free. Our team of experts and unrivaled customer care and technical support will guarantee that we help you find the best solution for your business. We’ll ensure your hardware is fully optimised with a guaranteed power supply, energy efficient cooling and the best technical support available to you 24/7. When you choose a dedicated server from Netcetera we’ll make sure your new server will deliver exactly what you need to keep your business running 24/7. No hidden costs, just everything you need in a simple monthly payment, a server designed to deliver all of your needs and maintained by a business that has been trusted for over 21 years to deliver exceptional service. Starting from as only £65/pm there’s no need to spend thousands of pounds on new IT hardware, get a server that will deliver what you need at a simple monthly price, no hidden costs and no price increase during the length of your contract. Simply sign up today for your new Dedicated Server and join the thousands of clients from around the world who are already enjoying the benefits of hosting with Netcetera. With Free advice and a friendly team of experts available to talk you through the process why not check out how we can save you money and improve the way your IT performs today. The post Get Your New Server From Only £65/pm – NO Hassle and NO Lengthy Contracts appeared first on Netcetera Blog. Websites and web applications are the point of entry to many critical business services, both customer-facing, and internally within companies. Web accessibility, however, also brings with it a range of security risks. For optimal protection against hacking and fraud attempts, your business needs an enterprise-class security solution for all its web applications. dotDefender is a website security software product (a Web Application Firewall, or WAF) that stops hacking attacks before they reach your website. Web-based attacks such as SQL injection, cross site scripting (XSS), path traversal and more can be easily prevented with dotDefender. Compared to similar hardware alternatives, dotDefender provides robust protection from threats before they reach your web applications, without sizeable expenses of additional hardware. Your website data is the lifeline of your online business. Don’t leave it open to theft, fraud, or defacement. Of course, preventing and patching vulnerabilities in your web applications is an important process for any online business. But, what about when you don’t control the code? What if there is simply a vulnerability that you haven’t discovered? dotDefender is your web application security guard, leaving you to focus on driving your business, not on patching your code. The Payment Card Industry (PCI) has implemented rules to enforce e-commerce security standards – the PCI DSS. dotDefender helps you achieve PCI DSS compliance with minimal investment. Being completely software based, dotDefender works with any web application, boasts a low TCO, and has minimal ongoing costs. As your online business grows, you can rest assured that dotDefender has you covered with no expensive hardware upgrades or costly application integrations. dotDefender has no noticeable effect on web server resources, giving you enterprise-class protection with no degradation in performance. Available from just £20.00 per month – with FREE INSTALLATION! Get your FREE Server Healthcheck today! This winter we are offering a FREE HEALTHCHECK to all our existing Dedicated and Cloud Server clients! Your Server will go through a thorough checklist by our qualified technicians to make sure the server is healthy and in good shape. This puts System Administration in the hands of experienced individuals and is just one of the ways that make hosting at Netcetera a truly better experience for you. Leaving you to run your business with the knowledge that your server is up to date. 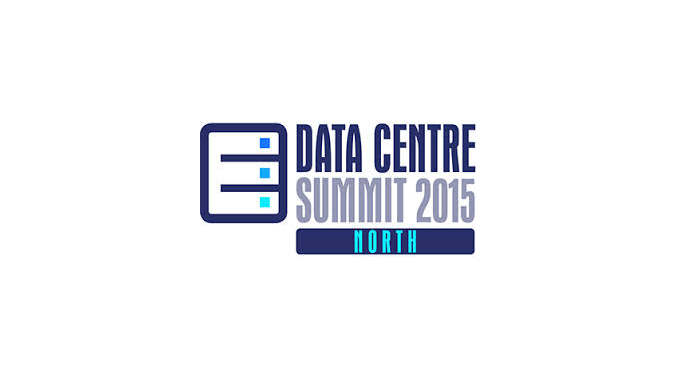 Netcetera will be joining other industry experts at this exciting event. This will give you the opportunity to see what’s new in the industry, keep up to date with the latest innovations and technologies and learn from the best in the business. Come and join us at Stand 37 to find ways of saving money and developing your business with Netcetera’s award winning Carbon Neutral data hosting solutions. Come and meet the team and see how you could save up to £600 with FREE Rack Setup! We will also be holding FREE Raffle Draws throughout the day to win some great prizes!